Andy Hodes, a Chattanooga realtor has been awarded the Certified Residential Specialist (CRS) Designation by the Council of Residential Specialists, the not-for-profit affiliate of the National Association of Realtors. Realtors who receive the CRS Designation have completed advanced professional training and demonstrated outstanding professional achievement in residential real estate. Less than 3.5 percent of realtors nationwide have earned the credential, officials said. 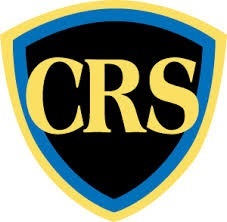 “Home buyers and sellers can be assured that CRS Designees subscribe to the strict realtor code of ethics, have access to the latest technology and are specialist in helping clients maximize profits and minimize costs when buying or selling a home,” officials said. Mr. Hodes is a sales associate with Keller Williams Realty in East Brainerd. He is a member of the Greater Chattanooga Association of Realtors and is licensed in both Tennessee and Georgia. Mr. Hodes earned an MBA in 1997 and also holds the designation of RCS-D (Real Estate Collaboration Specialist – Divorce) as well as the GRI designation (Graduate, Realtor Institute) among other professional achievements. He can be reached at 423-595-7355 or Andy@AndyHodes.com.